People recite poetry at the most memorable events of our lives…retirements, marriages, funerals, graduations, anniversaries, birthdays…poems are often personal and intimate. 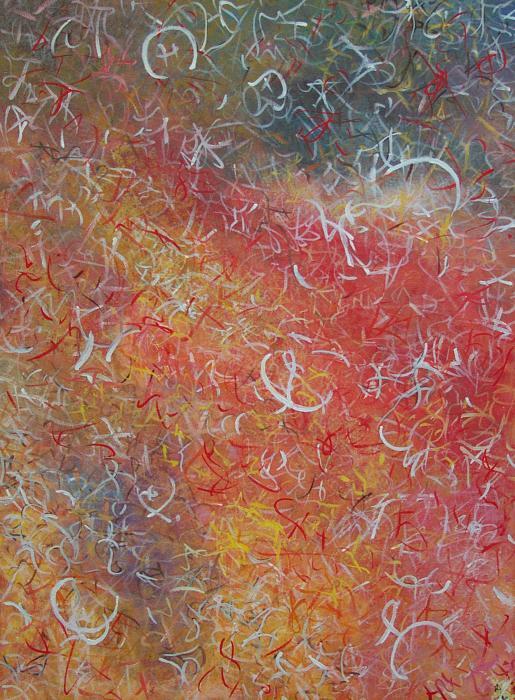 They may also express humor, spirituality and whimsy. Regardless of the subject matter, poetry can make us think and help to put things into perspective. Just as in art, every person may see and feel differently about poetry and gather inspiration from experiencing it. As we all respond to the history of art, a poet can’t help but build on what other artists have done in the past as the inspirations of today are lofted by creativity. 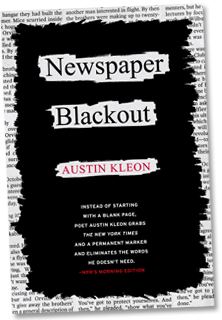 Fellow Texan, Austin Kleon, was inspired by what Walt Whitman once said, “The true poem is the daily newspaper.” Kleon has a serendipitous approach to creating poetry; starting with a newspaper (rather than a blank page) and eliminating words he doesn’t need. It’s like an adult game of hide and seek. Stockholm native, Tomos Transtromer recently won the Nobel Prize for Literature. 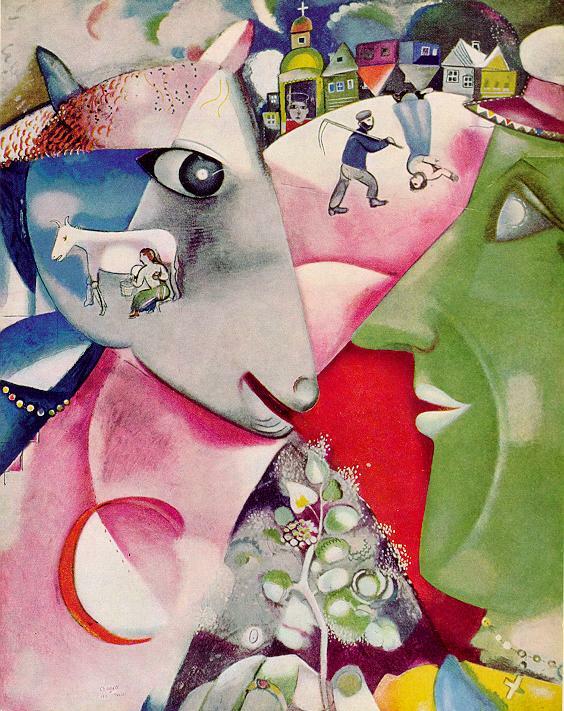 I think of Chagall when I read Transtromer’s poetry because he is dreamy like Chagall; they both remind us that the world is not what it appears to be…if we look close enough we may find something out of the ordinary. and the grass shook itself in the coal dust. How sore my eyes are! They’ve been reading by the faint glimmer of the glow-worm lamps. November offers caramels of granite. laughing at the wrong place. so much for our Sundays! 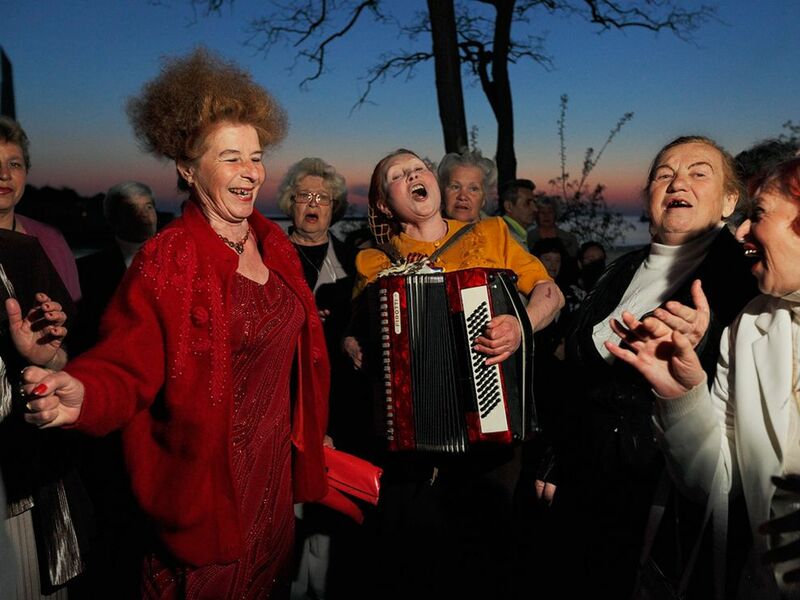 I love this photograph of these friends who meet Sundays in Sevastopol to sing. I imagine these friends have done this for years; they have the right idea about life…to laugh, sing, and enjoy each other’s company in the moment. It is the fullness and color and form and diversity of the earth…and of men and women…and of all qualities and processes; it is greater than buildings or ships or religions or paintings or music. It seems that many artists and poets have found inspiration and creativity under rocks that others would choose not to move. If language is the mightiest of sciences, perhaps more should seek to find questions and answers that provoke the highest level of pensive spirit lifting in common ordinary places, like the newspaper, the clouds or the faces of people experiencing parts of life we may not know so well. Both peace and power may be discovered by singing more songs, writing more words, looking for things that others might not see…and laughing. Try it, you may like it.